Recently, while I was browsing Twitch, I stumbled into a live competition called RoboMaster. 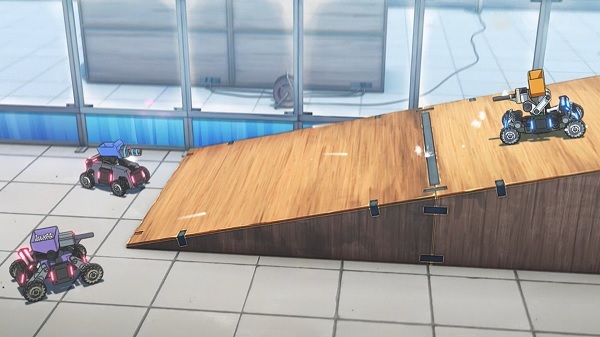 Unlike BattleBots or other robot battle shows where they have robots physically destroy each other, RoboMaster is actually a gamified MOBA-like first person shooter that doesn't allow robots physically destroy each other. This robot competition features team versus team, multiple robot classes, leveling and map objectives (depending on each yearly competition). 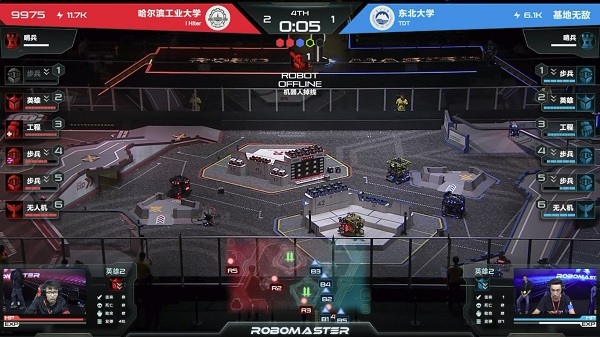 Each team represents a Chinese university - mainly consisting of engineers/programmers who build the robots and professional gamers to pilot them. Although, there was a Japan team and some US teams who attended, but they lost earlier. Here's the recorded Twitch live stream I watched when it was live. This entire stream will have two long final matches and an anime adaptation marathon 3 hours break between them. The hosts will also repeatedly explain the rules and how the competition works. During the second final match, there was a real life KAKA MVP who maneuvered just like in the anime adaptation which was shocking. Other than that, I would really like to see this robot competition grow globally big and have more Japan teams and US teams involved.